Do you have a child who hates math? 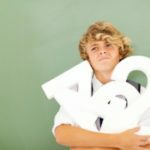 I had no clue how to homeschool the child who hates math, and realized I was doing it ALL wrong! Here’s how to do it right! Not, my finest moment. You see, I was BAD at math. Really bad. And I didn’t want my parents to know how bad it was. But when report cards came in the mail I could no longer hide it. I’d like to say that after that year my grades magically got better. They didn’t. Honestly, I passed high school math because I copied off of a boy in my class. College math wasn’t much better, but I scraped by. I’ve been there, believe me, and I’d love to tell you it gets easier, but in many ways, it doesn’t. Some kids are just NOT cut out for math. Now, does that mean we need to stop pushing them? No. Does it mean we throw in the towel? No. Does it mean we keep buying and buying curriculum until something finally clicks? No. It means we just need to BREATHE. I think this is where my parents were that day they came into the school. They were at their wit’s end and had NO idea what was wrong. They felt like they failed, and as homeschool parents, we have the weight of our child’s whole education on our shoulders. There’s no one left to blame. However, when it comes to a child-hating math, it’s really NOT your fault. Nothing my parents would have done differently would make me like math anymore. Some people just don’t like math. They don’t understand it. 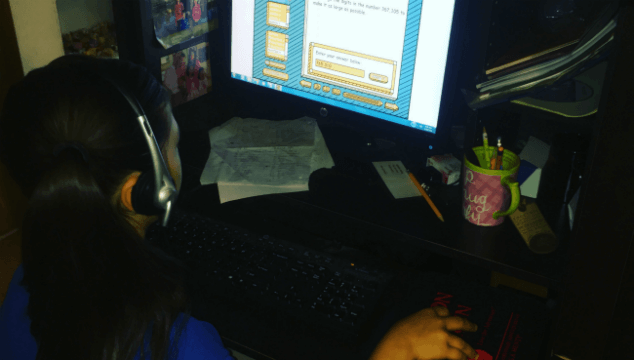 I searched and searched for a math curriculum that would make my daughter LOVE math. Guess what? There wasn’t one. I tried the hands-on approach. Nope. I tried mastery and spiral. Nothing helped. She still didn’t like math. We ended up settling on a program for a few years that worked. CLE Math. It didn’t make her LOVE math but it was at least less of a struggle. Then it got to the point where she and I were butting heads each and every day over math. I couldn’t teach the way she learned, and she couldn’t learn from the way I taught, so we switched again. We are now using Teaching Textbooks. Is it a great program? Yes! Does it get the job done? Of course! Does she still hate math? You bet! No program is going to make her love it. 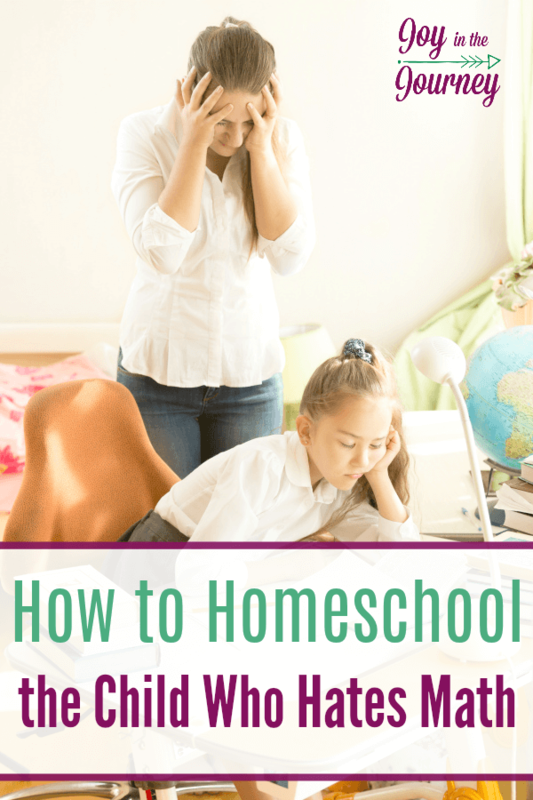 One of the best things I have done in our homeschool was relaxed. Yes, even in math. For us, this came from simply setting a timer at math time. Once the timer goes off, she’s done with math. Even if she only answered 2 out of 21 problems. She’s done. Life will go on. No subject is worth tears, and headaches, and hating school. Not even math. This was a big step for me. I know math is important. But, I also know my daughter’s heart. I know her ability. And I refuse to sacrifice our relationship and her love for learning on math. Now, let me assure you we standardize test each and every year. She scores well above average in Math. And I honestly think a good reason for that is because we have let her work at her own pace. Not pushing her. Not demanding she learns something when she is not ready. 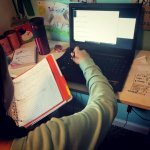 Moms, we too often times forget we homeschool so we can be flexible and give our children the best education possible. Our school days don’t have to look like public schools. We can do things our own way, and teach to the HEART of our children. This includes EVERY subject in our homeschools. Even math. 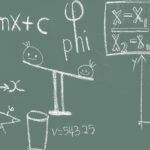 Can I Homeschool a Child who Hates Math? 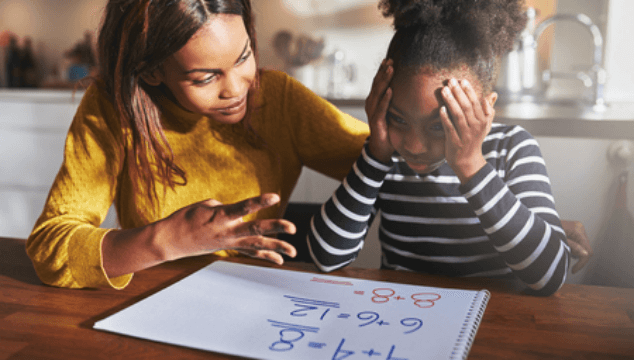 So, if your child hates math, it is okay. You can still homeschool them! I encourage you to recognize that it is NOT your fault. You didn’t make them hate math because you chose to homeschool. Also, realize that there is NO perfect curriculum. Quit buying every new math program out there, find one that kind of works, and stick with it. Nothing is going to make them want to wake up and jump into a math book first thing each morning. And the last thing is to RELAX. The world will not end if your child is still in Math 6 in 7th grade. It is okay if you don’t finish each lesson every day. This does not make you a homeschool failure. It just means you have a child whom you have allowed to work at their own pace. I Can’t Homeschool, What About Algebra? Some superb tips! I usually do school with my kids through the weekend. My younger son hate math and sometimes struck with it. Amen, Misty! I have a 7th grade student that I constantly have to rescue from the brink of humiliation because he is doing 5th grade math. Math is hard for him, as it was hard for me. That doesn’t make him stupid, but he feels that it does. It has been a lot better for him since he started on “10th grade” science, as if they sort of balance each other out. I think that many feel the pressure of the modern push toward math and technology. Colleges now all insist on math competency, even if, like my daughter, the student wants an art degree. Yes, I agree. I think we have to remember to teach to the child. NOT to the grade level. That is so hard though when we are expected to push, and enforce competency. Even when a child is struggling.